The European Union and Vietnam on Tuesday (4 August) reached a free trade agreement after two and a half years of negotiations, the European Commission said. The deal will remove tariffs on goods traded between the two economies, the Commission said in a statement. The deal covers goods and services, investment and issues such as government procurement. The EU is one of the largest foreign investors in Vietnam. In 2013, EU investors committed a total of more than €500 million in foreign direct investment and remains Vietnam’s sixth largest foreign investment partner. “We have a deal. 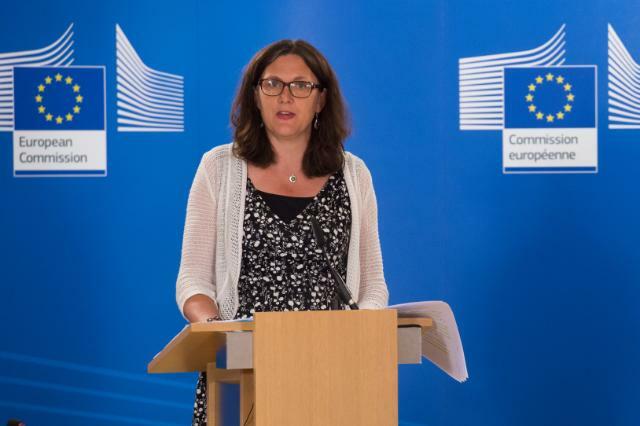 This finely balanced agreement will boost trade with one of Asia’s most dynamic economies,” EU Trade Commissioner Cecilia Malmström said, stressing that it opens a new market of roughly 90 million people for the EU. “It sets a new, better and modern model for Free Trade Agreements between the EU and developing countries, and establishes a good standard for the trade relationship between the EU and South East Asia as a whole,” she said. After region-to-region negotiations on a free trade agreement between the EU and ASEAN countries proved difficult, talks for an EU-Vietnam FTA were launched in June 2012. On the basis of the agreement, the negotiating teams must now settle some remaining technical issues and finalise the legal text during the autumn. The two partners trade goods worth €28 billion, which increased by 200% over the last 10 years. Vietnam is the fourth largest trading partner of the EU with the ASEAN countries. “Vietnam has chosen a path of trade opening as part of its economic reform,” said Malmström, adding that Hanoi has been very ambitious and constructive partner. The new agreement is seen as a milestone in the trade relationship between the EU and ASEAN countries, many of which are negotiating partners in the Trans-Pacific Partnership, including Vietnam, Singapore and Malaysia. EU exports to Vietnam are dominated by high tech products including electrical machinery and equipment, aircraft, vehicles, and pharmaceutical products. Vietnam’s key export items to the EU include telephone sets, electronic products, footwear, textiles and clothing, coffee, rice, seafood, and furniture. With this agreement EU companies will be able to bid for public contracts with Vietnamese ministries, including for infrastructure such as roads and ports as well as important state-owned enterprises such as the power companies, railway operators and public hospitals. The deal will need to be approved by EU trade ministers and the European Parliament. British MEP Emma McClarkin, conservative spokesperson for trade in the European Parliament: "I strongly welcome the fact that we finally have a deal between the EU and one of Asia's most dynamic economies. In 2014 EU-Vietnam trade was worth over €28bn, so this agreement has huge potential for EU jobs and growth, particularly the UKs competitive, outward-looking businesses. As a Conservative, I passionately believe that agreements like this should be a key priority for the EU – focusing on liberalising trade rather than creating burdensome red tape."